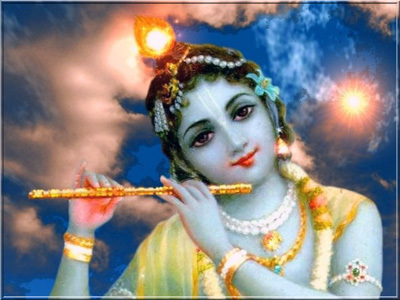 This is a continuation on the Sri Isopanisad (The knowledge that brings one nearer to the Supreme Personality of Godhead, Krishna). 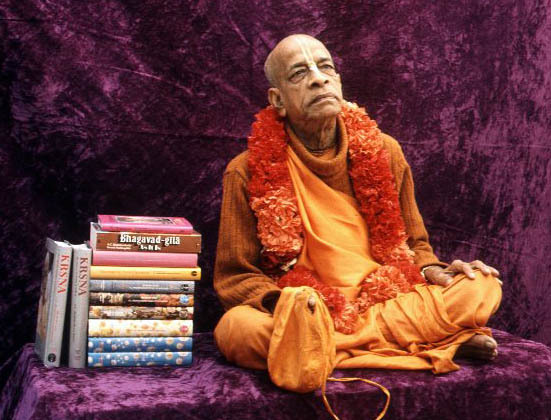 It begins with the Invocation and is followed by eighteen mantras and purports by Srila Prabhupada. The following is mantra one. īśa—by the Lord; āvāsyam—controlled; idam—this; sarvam—all; yat kiñca—whatever; jagatyām—within the universe;jagat—all that is animate or inanimate; tena—by Him;tyaktena—set-apart quota; bhuñjīthāḥ—you should accept;mā—do not; gṛdhaḥ—endeavor to gain; kasya svit—of anyone else; dhanam—the wealth. 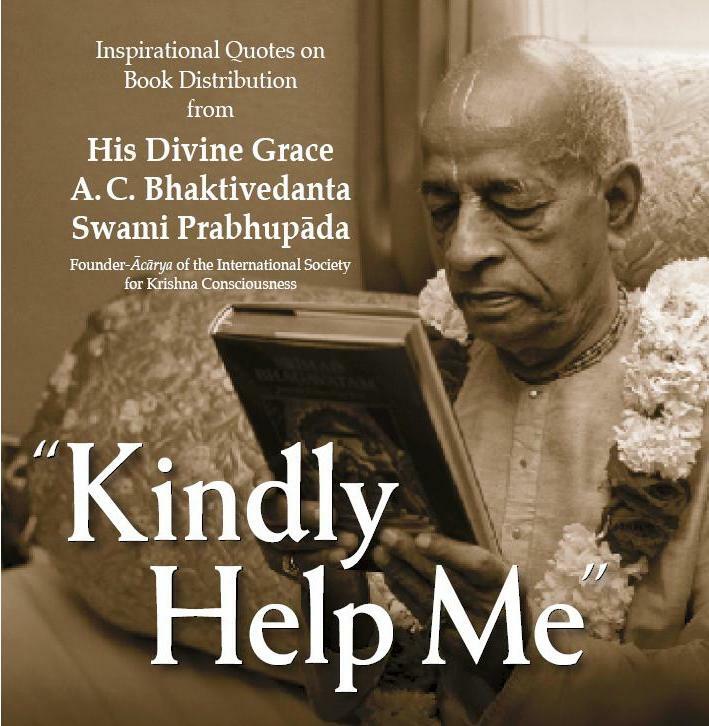 This is a very nice compilation of quotes by Srila Prabhupada on the importance of reading his books. 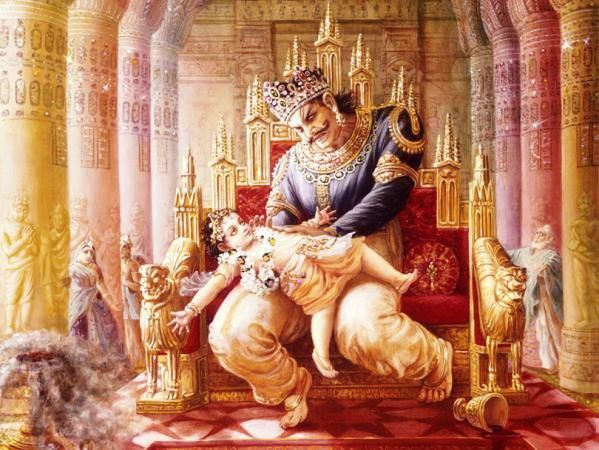 Yesterday was the appearance day of Lord Nṛsiṁhadeva, and at the evening darshana with the Lord, I was reminded of the whole story of Prahlada Maharaja and his demonic father Hiranyakasipu. 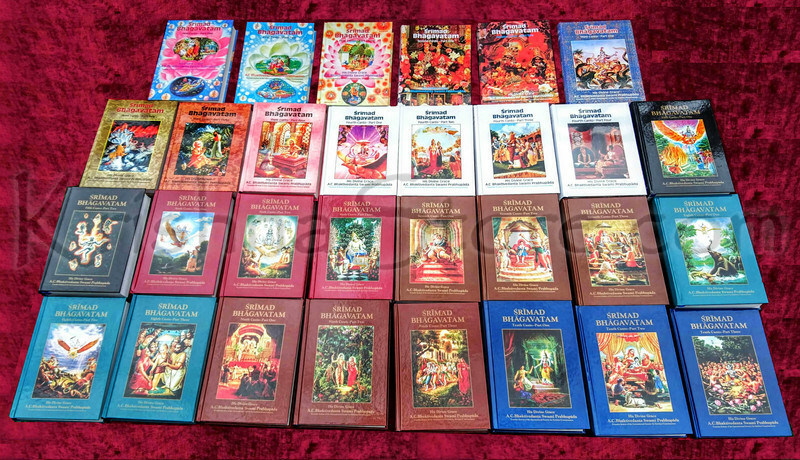 So I went to the 7th Canto of the Srimad Bhagavatam this morning and began to read this wonderful pastime of the Lord and his devotee. 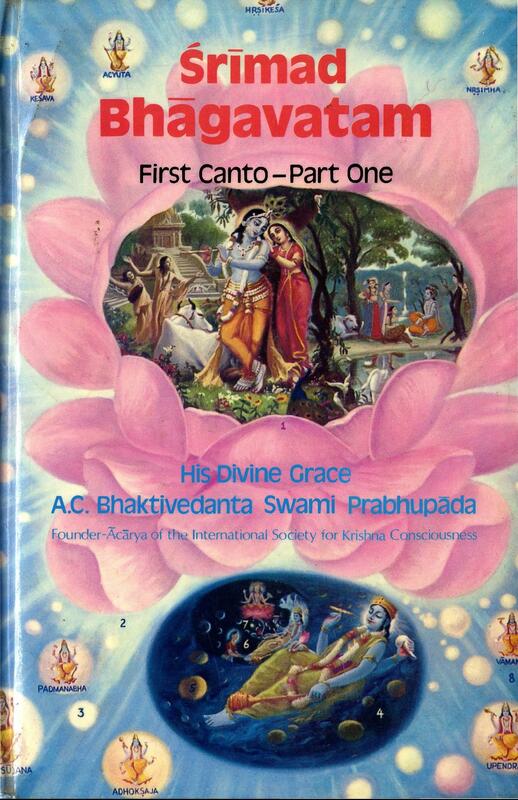 I have included in this post, the entire scanned copy of Canto 7, Vol. 1. You can download by following the link below (it will take a few moments to open). 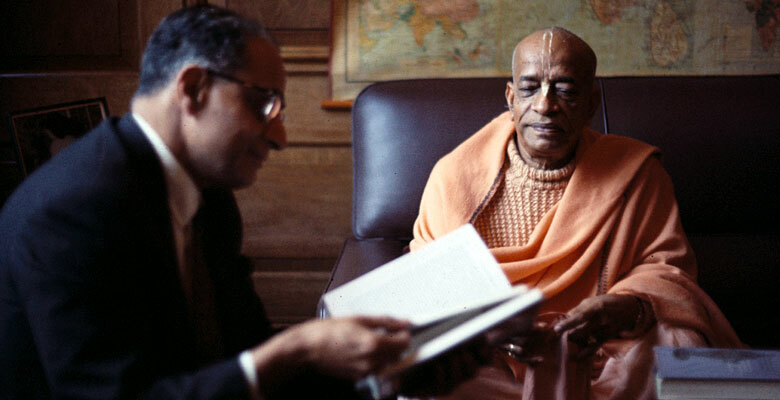 The following is a collection of quotes by Srila Prabhupada on the subject of reading his books. 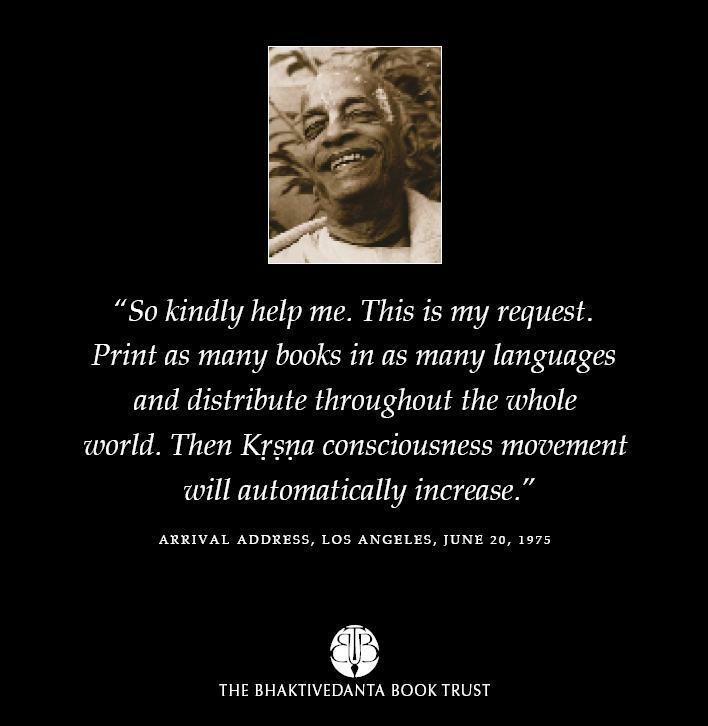 This is just an excerpt from a larger file entitled “A Spiritual Approach” by Vidura Mahatma dasa, which can be found at the end of this post. 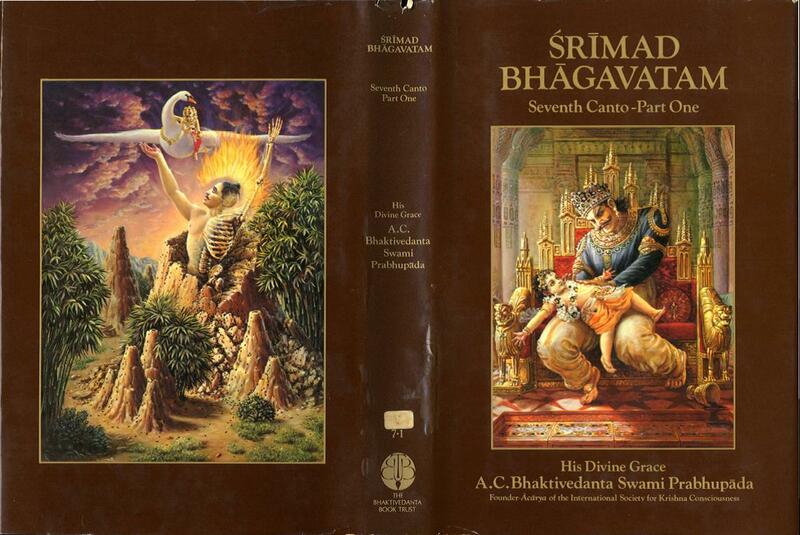 The importance of Srila Prabhupada’s books upon humanity can not be over stressed! Thus it is with pleasure we repeat some of these quotes on hearing through reading. 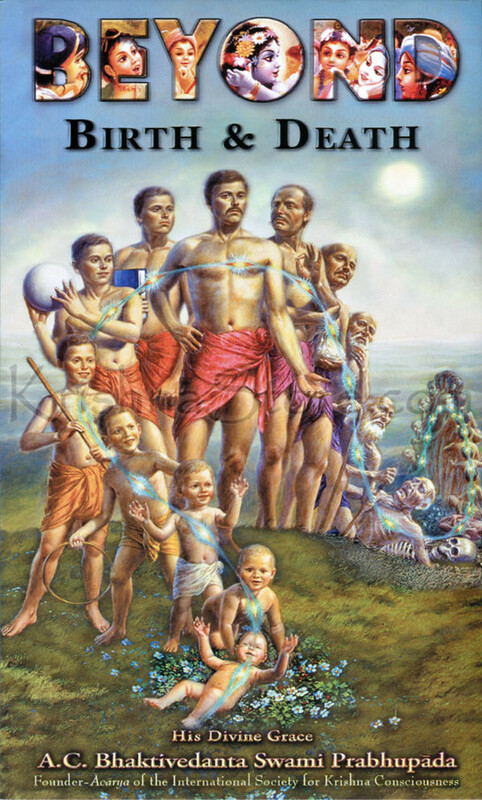 Prahlāda Mahārāja said: One who is sufficiently intelligent should use the human form of body from the very beginning of life—in other words, from the tender age of childhood—to practice the activities of devotional service, giving up all other engagements. The human body is most rarely achieved, and although temporary like other bodies, it is meaningful because in human life one can perform devotional service. 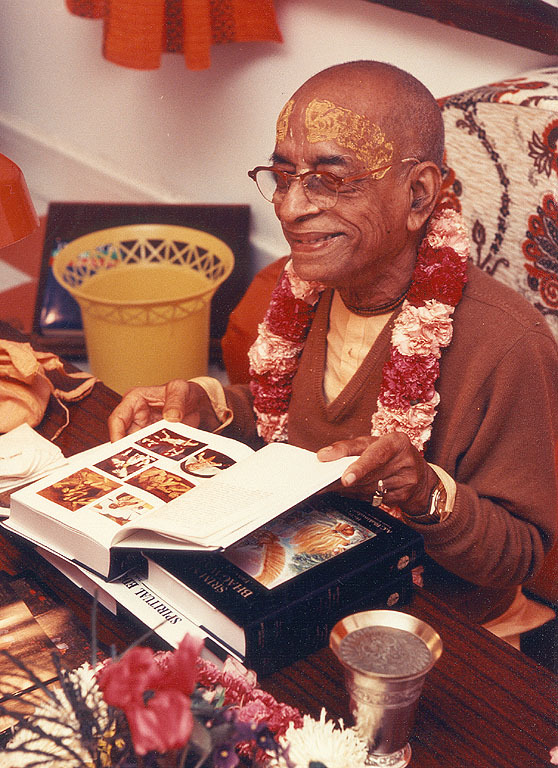 Even a slight amount of sincere devotional service can give one complete perfection. This morning as I was driving up our lane, I saw a hawk flying past me with a live squirrel in his talons. And I thought, ‘how fragile is this life’. One moment the squirrel was out collecting nuts to store in his home for the winter, and the next moment, he is being carried away to his sure death. I was reminded of the famous quote “Life takes Life”, and of how all of ours lives, hang in the balance. 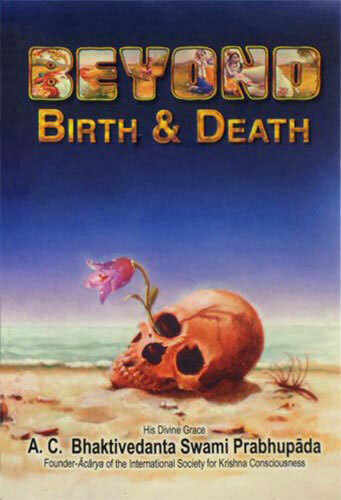 So today I am moved to post another chapter from the book “Beyond Birth & Death” by His Divine Grace A.C. Bhaktivedanta Swami Prabhupada, Chapter One entitled “We Are Not These Bodies”. Also for a Free PDF download of entire book click the link at bottom of post. 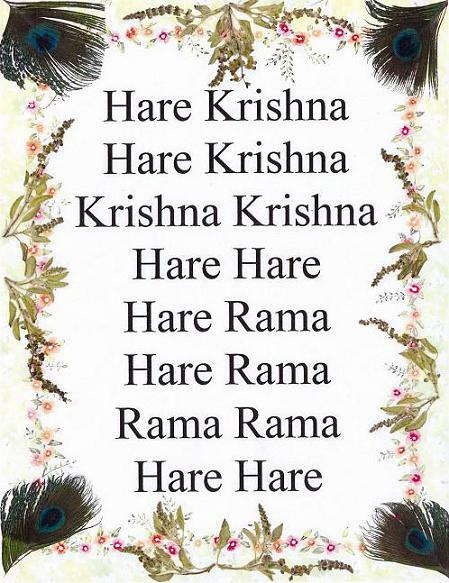 During the Purusottama Month, it is always good to read and chant more. It is also important is to remember the wonderful pastimes of the Lord. 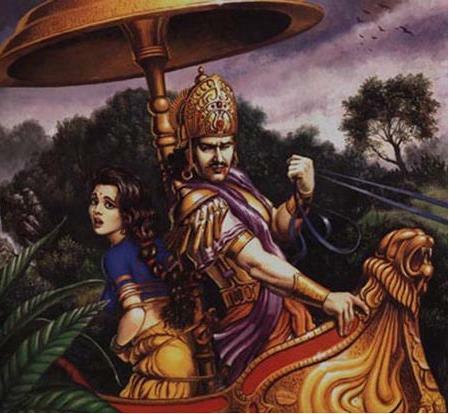 …After the demon was thrown into the trees, all the friends and associates of Dhenukāsura immediately assembled and attacked Balarāma and Kṛṣṇa with great force. They were determined to retaliate and avenge the death of their friend. 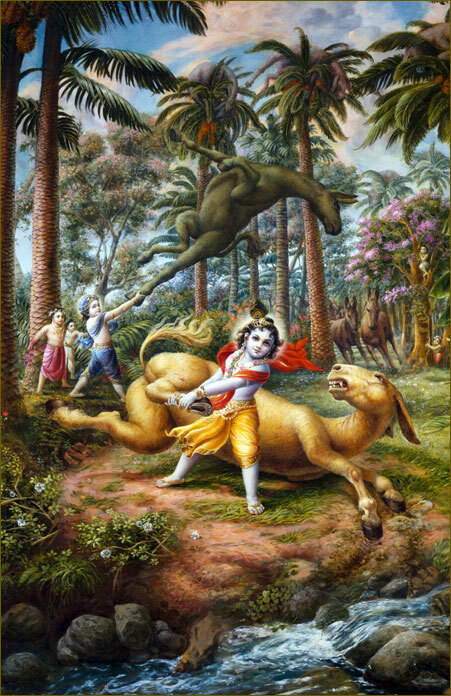 But Kṛṣṇa and Balarāma began to catch each of the asses by the hind legs and, exactly in the same way, wheeled them around. Thus They killed all of them by throwing them into the palm trees. Because of the dead bodies of the asses, there was a panoramic scene. It appeared as if clouds of various colors were assembled in the trees. 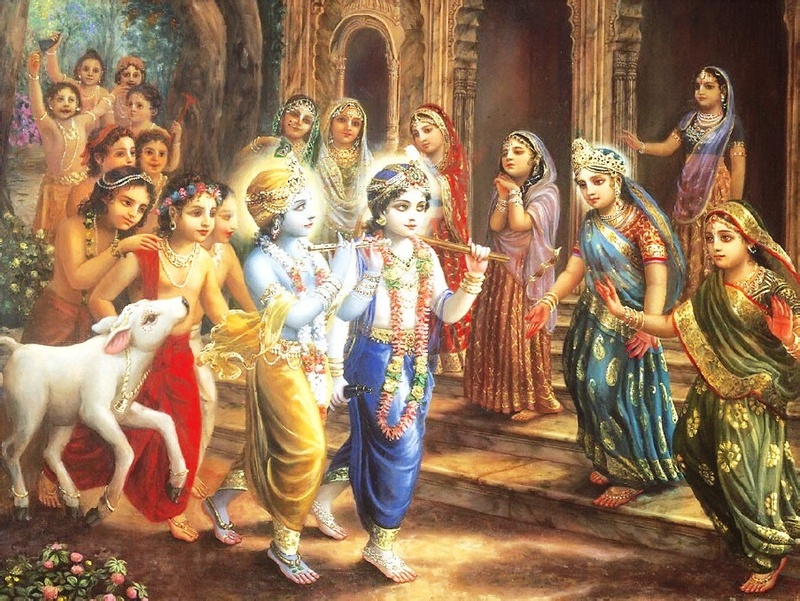 Hearing of this great incident, the demigods from the higher planets began to shower flowers on Kṛṣṇa and Balarāma and began to beat their drums and offer devotional prayers. During the Purusottama Month, it is important to Hear and Chant more. 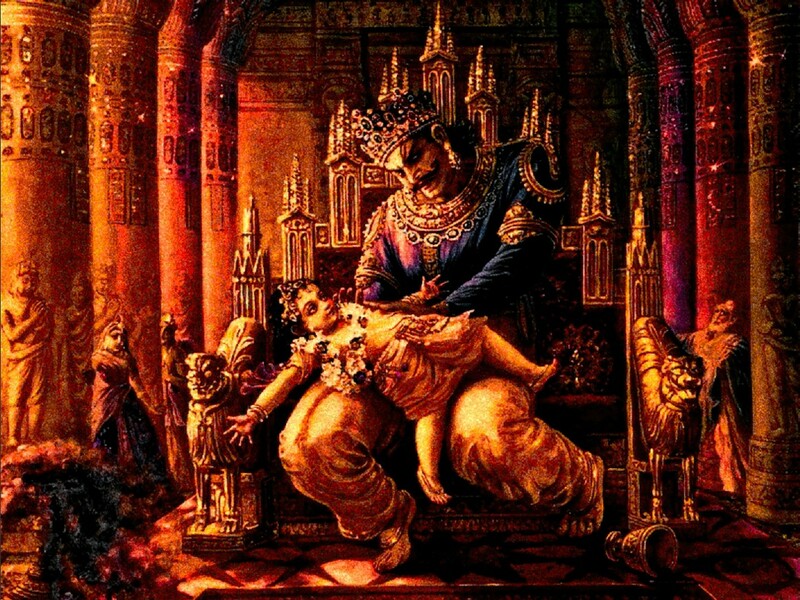 With this in mind we are posting the 14th Chapter of Krsna, The Supreme Personality of Godhead, with Lord Brahma praising the Glories of Krishna (Purusottama) The Supreme Personality.